A problem with head lice is fortunately not a serious medical problem, but nonetheless it still needs quick and effective attention. It can be quite a headache when a parent receives a call from their child’s school, asking them to pick the child up because of a lice infestation. Lice isn’t something that happens every day, so what should a parent do when there is a lice outbreak? Look no further than The Lice Place for quick and effective lice removal in Hendersonville. 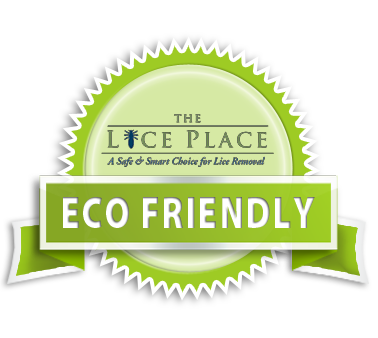 In business for many years, The Lice Place are experts in the removal of lice and their eggs. We feature many different types of products, including shampoos, conditioners, mousses, combs, and lice repelling spray. These products are sold both online and in all of our treatment centers, and some are sold as kits, such as our Lice Treatment Kit. However, it is best to confer with one of our associates prior to purchase so that the correct product is used for the level of infestation. All of our products are completely non-toxic, and are safe for use around kids, pets, and adults. All of our products are also environmentally-friendly, so parents can feel safe on all levels using them. For parents who want lice treatment professionally done, we provide lice removal in all of our treatment centers as well. Quick, effective, and private, we guarantee 100 percent that all lice will be removed after one application. All of our technicians are professionally trained experts in the removal of lice. To learn more about lice removal in Hendersonville, give The Lice Place a call at (615)656-1646 to speak to one of our professional staff, or to make an appointment. We want all of our families to remain lice-free.